That’s what the Wisconsin Public Interest Group said about the proposed $125 million widening of Highway 38, outside Milwaukee, in a 2011 report [PDF]. The nine-mile rural road widening, from two lanes to four, was indeed a head scratcher. This area of the state is sparsely populated, surrounded by cabbage farms. What’s more, Highway 38 closely parallels Interstate-94. “It is baffling why a major expansion should be a spending priority,” wrote WisPIRG’s Bruce Speight and Kyle Bailey. 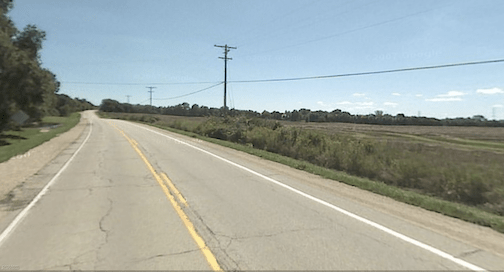 But the Highway 38 road widening was nothing unusual for Wisconsin. The state is pursuing a plan to pour $6.2 billion into highway expansion in the slow-growing Milwaukee region. A review of plans by the Wisconsin Public Interest Group found the state consistently overestimated the need for these projects and that the justification for many of them was shoddy or nonexistent. It’s unclear why this project would be cancelled while so many other wasteful projects continue. But advocates are encouraged. Speight said in WISPIRG’s review of four wasteful projects, the justification for Highway 38 was the shoddiest. Citizens opposing wasteful and environmentally destructive projects elsewhere in the state have launched lawsuits to stop road expansions like the $1.7 billion “Zoo Interchange” outside Milwaukee, and Highway 164 in the Milwaukee suburbs. These campaigns have been met with dismissiveness or outright hostility by state officials. That’s WI Highway 164, not 165. Milwaukee is a great city that is fit for light rail and bus rapid transit in many places. I can’t imagine the kind of LRT and BRT system $6.2 billion could buy for the Milwaukee region. It most certainly could have paid for the enhanced rail service from Madison to Chicago for many, many years. Wisconsin does not, in fact, possess infinite resources to spend on highways.